The County Council have a consultation open for proposed cycle lanes on Wantage Road in Didcot. These plans have been re-designed following our objections to the original designs proposed last year. The new cycle lanes are a much better design and the kind of cycle lanes we have been asking for. They are a hybrid lane i.e. separate lanes on both sides of the road with a raised kerb and small height difference between the carriageway and cycle lane. This type of cycle lane is common in Europe and now being used in the U.K. They have recently been built at Headington in Oxford along The Slade. Wantage Road will be the second installation in Oxfordshire. The designs are not perfect, there are space constraints and existing restrictions but cyclists will have priority crosssing junctions. 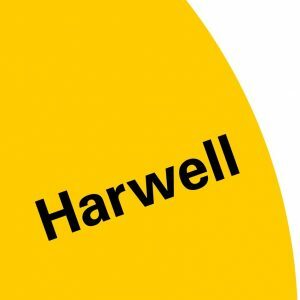 The design is in line with Didcot Garden plans and has future scope for extension to Harwell village and Didcot town centre. HarBUG is minded to support the plans. It is important for the whole of the Science Vale to get this type of cycle infrastructure built and become the norm for cycle lane design in the area. You can comment on the consultation by following the links below. HarBUG has full sized A0 prints of the scheme if you would like a detailed look please contact chair@harbug.org.uk to arrange viewing. Please support the proposals. HarBUG will be sending a response but the more support we can get the more likely the plans will be passed. We anticipate some objections from Wantage Road residents and businesses. Please comment individually as well as letting HarBUG know your views. It’s time to go to the shed, dust down your cycle, pump up the tyres, oil the chain and cycle to work. 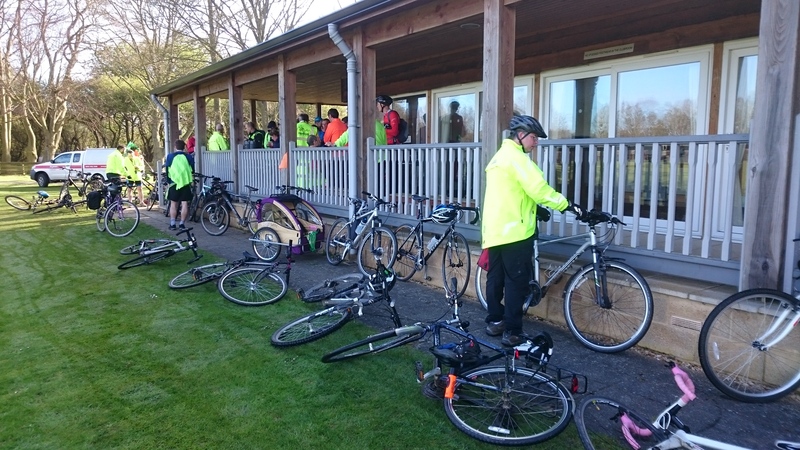 To help you to get back in the saddle HarBUG are runnning a Cycle to Work Day on Wednesday 18th April. More details to follow but book the date in your diary. If you have been cycling to work all through the winter, join us on the 18th to celebrate the start of spring and better cycling weather. 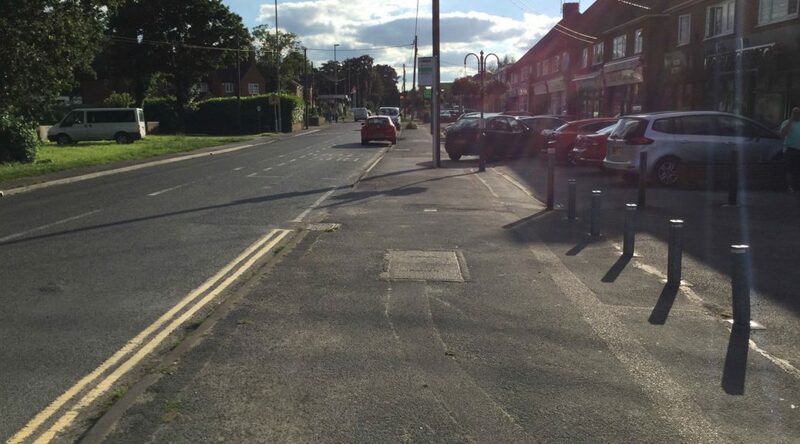 Oxfordshire County Council have opened a consultation into improving the Thomson Avenue Entrance from the A4185. The proposals are for a traffic light controlled junction with a right hand turn lane in the southbound direction. The car park at the entrance is being extended and the entrance/exit is being moved further down Thomson Avenue. The current sharp turns needed on the pavilion side will be straightened out. However sharp turns will still be needed on the island in the middle of the junction. The islands will have cyclist / pedestrian lights to control the crossing points. All arms of the junction will have advanced stop boxes for cyclists. On the northbound lane of the A4185 there is a dropped kerb by the stop box to allow cyclists who are using the shared use path to join the main carriageway at the box. The northbound bus stop that car drivers expect you to cycle in, will be removed to make way for the southbound right hand lane. The consultation end on the 6th April. P.S. The photo above shows the Thomson Avenue Entrance when it was the Nuclear Site main entrance with the large concrete blast blocks. The positioning of the blocks is why there is a sharp turn required on the pavilion side of the junction. If you have been back cycling this year then you will have noticed that there are a lot of potholes around on the roads. Potholes are particularly dangerous for cyclists so please take the time to report potholes to the County Council and get them repaired. Alternatively you can download the FixMyStreet app from the Apple App Store or Google Play for Android. Using a smartphone is convenient as you can send the details directly from the pothole. The Backhill Tunnel inbetween Milton Park and Milton Gate (on the A4130 at the start of the Milton Interchange from Didcot) is now open for cyclists. 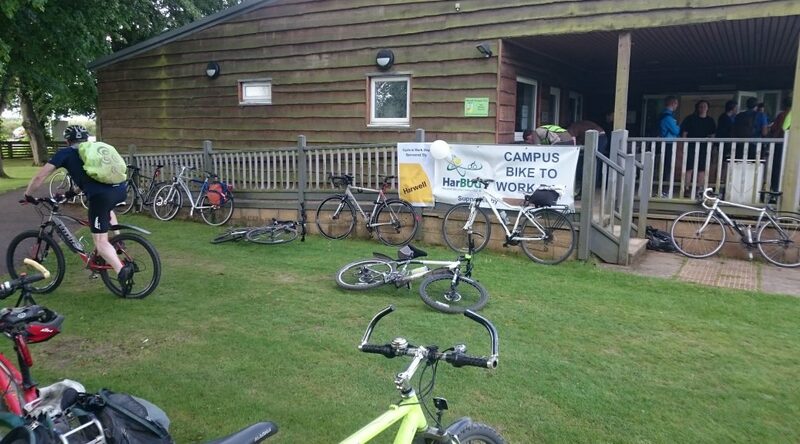 HarBUG has been keen to see this link open as it is a key for future cycle routes to the Campus from Abingdon avoiding the Milton Interchange. The next stage will see a dedicated crossing on the A4130 due in spring next year. As Didcot expands there will be a cycle path from the new crossing to an unused bridge across the A34 to Cow Lane / Townsend in Harwell Village and onto the Winnaway. Another cycle path will lead to a new cycle / pedestrian bridge across the A34 to Milton Heights. The tunnel was saved from permanent closure because a waste pipe (now redundant) from the Harwell Campus Magnox site to the Thames ran through it. The route of the pipe through Milton Park has not been built on either and plans are being investigated to see if this land could be converted to a cycle path and link onto Abingdon. Cyclox, the Oxford cycle campaigning group, have been having some meetings with the County Council Roadworks Team to see if road works/road maintenance around the County can be improved. The Roadworks Team have devised a questionnaire to help understand the issues faced by cyclists on the road. We know this type of problem is under-reported, so by better understanding the nature, frequency and location of these incidents, the council’s can more pro-actively target defect repairs and also larger scale resurfacing works to specific places or routes. Please only log incidents that occurred between September 2015 and August 2017. The closing date for completing the questionnaire is October 22, 2017. This questionnaire is a trial run, so is not public, and is only open to members of clubs/organisations. The questionnaire is only accessible via the above link, and cannot be found on the County Council’s website. The results of the survey should be made available within one month of this date and will be discussed in follow-up meetings between user groups and the council highways department. HarBUG has flagged the Strava segments that use the downhill, narrow path, part of the Winnaway as hazardous. This means that cyclists can no longer record Goals and Achievements on these segments. HarBUG is trying to get the Winnaway re-designated as a Bridleway from a foothpath. Using the path for recording fast decents could undermine our case for change. Apologies if you have been recording your time whilst using the path responsibly but we have had a complaint, from a Winnaway resident, about cyclists not slowing down to pass pedestrians on the downhill section. The segments that go uphill have been left and we have not changed any running segments. 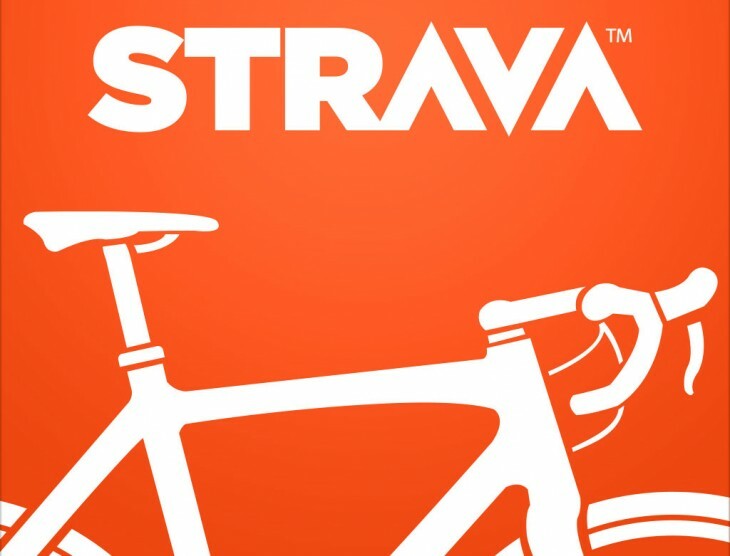 If you have no idea what Strava Segments are you can find out here: What are segments?